July 4 Pharmacies: Walgreens, CVS, Rite Aid, Duane Reade; Open or Closed 4th of July and Independence Day Holiday? Pharmacies–namely the big-name ones–are open Easter and other holidays. They tend to be open 24 hours. The majority of gas stations also tend to be open on July 4. Walmart will remain open, and some Walmart Super Walmart stores will be open 24 hours on the holiday. Check hours before going there. Target: Target will be open. Check hours. Costco: Costco won’t be open July 4. Rite Aid is open as well. Check hours. Duane Reade is open as well. Check hours. Good Neighbor Pharmacy is also likely open. Check hours. Albertson’s is open on July 4. Some hours might vary, with some stores closing at 4 p.m. Check hours. 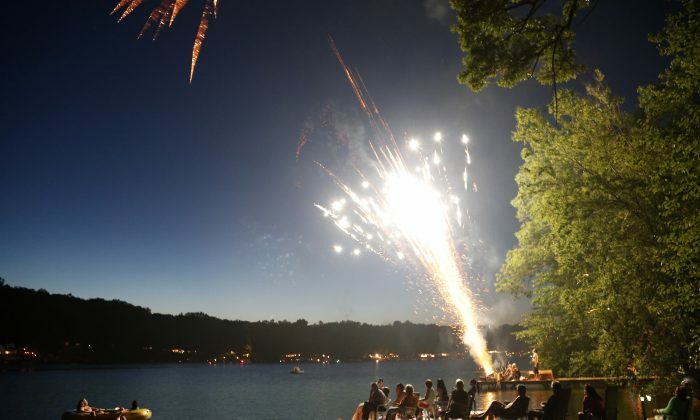 PAULS VALLEY, Okla. (AP) — For some Americans, the Independence Day holiday is all about celebrating the country’s history through good food, good friends and good fireworks. In Pauls Valley, July 4 is also about watermelon seeds — spitting them, actually. The south-central Oklahoma city of 6,000 is once again hosting the annual World Championship Watermelon Seed Spitting Contest to see who can propel the fruit’s seeds the farthest. Several hundred people are expected at the 57th annual event as competitors attempt to set records. The record for the contest was set back in 1989, when a Chicago man spit a seed 66 feet, 11 inches. “We’ve seen some great records throughout time here, but we’re hoping — we’re really hoping — to break them this year,” said Lindsey Temple, director of Main Street Pauls Valley, which is putting on the event. The event, held in conjunction with the city’s annual fireworks show, is believed to be one of the first seed-spitting contests organized in the country. Since then, other communities across America have started holding their own. Registration for the contest is free, and there are three age groups: 12 and under, 13-18 and 19 and over. Participants are given a slice of watermelon and spit as many seeds as possible. Whoever spits a seed the farthest, wins. Over the years, Temple said it’s become harder to find watermelons that have seeds because many grow the fruit seedless now. So what’s the key to a good seed spitting? “It’s all in the curl of your tongue,” said Adrienne Grimmett, 72, curator of Pauls Valley’s Santa Fe Depot Museum, who has taken part in the event in the past. Temple, who recently joined Main Street Pauls Valley, said she decided to practice her technique recently in anticipation of the upcoming contest.